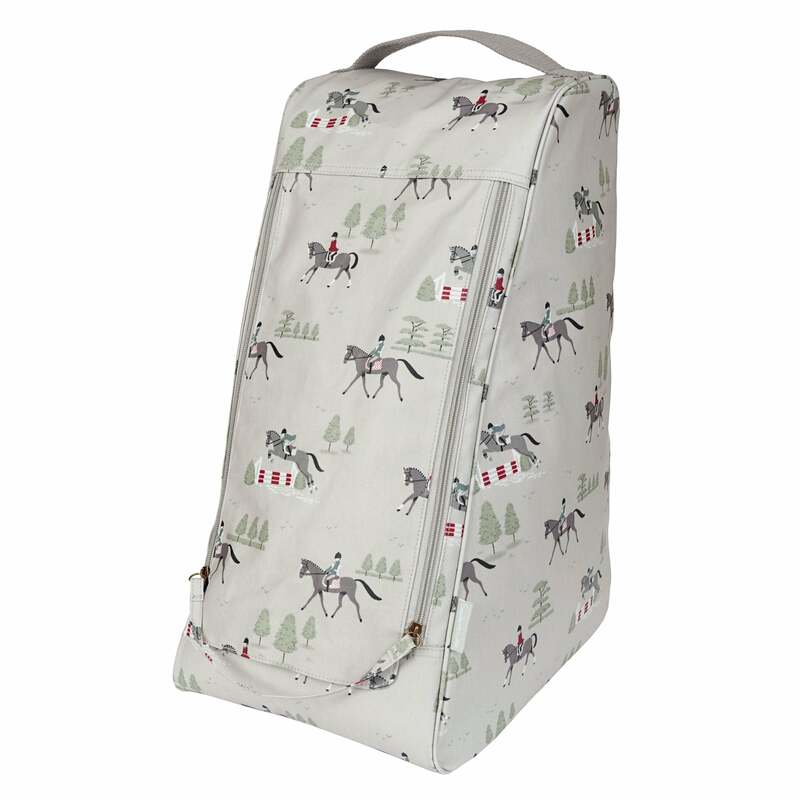 The Sophie Allport Horses Boot Bag is a super practical boot bag made in the classic Sophie Allport Horses oilcloth. The perfect storage solution for your mucky wellies, just pop your mucky boots into the zip bag to keep your cupboards and car mud free! Also ideal for long riding boots, the Horses Boot Bag is a wonderful gift for any horse enthusiast.